This quarter saw a handful of digital health stories regarding payers and their new digital offerings, especially in the area of diabetes care. However, the past few months also saw headlines regarding CMS payments, payer-backed investigations into novel technologies, and other moves from insurers looking to better leverage digital healthcare. Read on for MobiHealthNews’ roundup of payer news from Q2 2018. A handful of headlines from the past three months have made it clear that insurers are moving forward with novel technologies in mind. 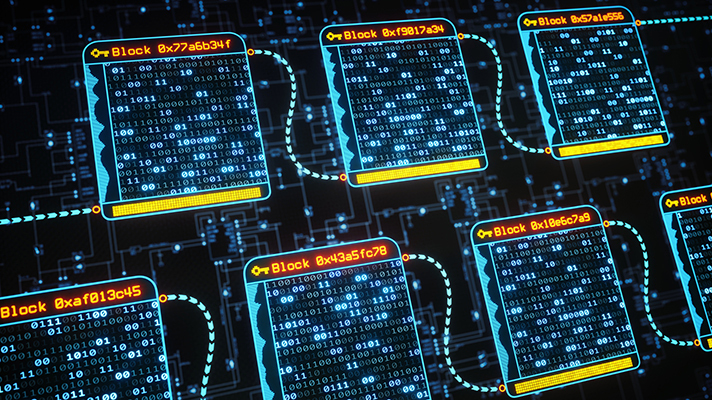 Of note, a partnership of five healthcare organizations including insurers UnitedHealthcare and Humana, Optum, Quest Diagnostics, and MultiPlan announced plans to launch a blockchain pilot to help payers tackle mandated provider directories. The program will apply blockchain technology to improve the quality of data and reduce the administrative costs associated with insurers getting up-to-date healthcare provider demographic data, with results expected in the fall. “I think the alliance is one of the first, if not the first, national blockchain alliances for healthcare,” Mike Jacobs, a senior distinguished engineer at Optum, who has been working on the test program for two years, said. Optum also seems to have been keeping an eye on other up-and-coming technologies, namely AI and neural networks. In a sold-out discussion hosted at Optum’s Boston office and organized by the Design Museum Foundation, Sanji Fernando, vice president and head of OptumLabs’ Center for Applied Data Science, explained at length how ongoing difficulties researchers face in explaining the decision-making process of these networks is limiting their role in healthcare. Earlier in the quarter Tom Beauregard, chief innovation officer at UnitedHealth Group, participated in a discussion with heads from Fitbit and Empatica on the future of health and fitness wearables in an industry becoming increasingly concerned about data privacy. Noting the increasing need to communicate with consumers about these topics, he said that the best way for insurers to keep patients on board with continuous monitoring strategies is to communicate the potential health benefits through a primary care physician. “We really have to understand how to engage consumers in this in a way in which they trust that the data is being used to their benefit,” he said. While the Centers for Medicare and Medicaid Services didn’t dominate the payer news cycle this quarter, it still generated a couple of notable digital health headlines. CMS Administrator Seema Verma in April announced changes to overhaul the meaningful use EHR incentive program, including equipping patients with access to their electronic health records on the day they leave the hospital. Starting in 2019, hospitals are required to have a patient’s electronic health records available on the day they leave the hospital. The proposed rule also reiterates the requirement for providers to use the 2015 edition of certified electronic health record technology in 2019 as part of demonstrating meaningful use to qualify for incentive payments and to avoid reductions to Medicare payments. At about the same time, the Office of the Inspector General released a report that showed CMS paid out $3.7M for rural telemedicine that shouldn't have been covered. In a random sample of 100 claims, 31 claims were erroneous with 24 involving a patient that wasn’t located in a rural area. According to the report, the main reason these clerical errors occured is that CMS systems are not equipped to handle telemedicine at all. Right at the beginning of the quarter, digital disease management company Livongo announced a partnership with nonprofit health insurance company Cambia Health Solutions (alongside word of a $105 million funding round). With this deal, Livongo’s platform of connected devices and virtual care teams for diabetes and other chronic diseases became available to Pacific Northwest-based organization’s 2 million members. Around that same time, Livongo’s offering was also featured alongside those of Omada and Ovia Health in the announcement of a digital tool portfolio from Blue Cross Blue Shield of Massachusetts dubbed Emerging Solutions. Outside of diabetes care, these tools cover members’ cardiovascular disease prevention and management, fertility and pregnancy guidance, and other areas of chronic care. As of last week, UnitedHealthcare members managing coronary diseases now qualify for Heartflow’s computerized, personal CT scan technology. The new deal places the tech within reach of an additional 45 million beneficiaries, bringing the company’s total US reach to more than 235 million people. The quarter also saw a host of digital-minded payer announcements and deals covering a range of additional health and wellness areas. For instance, Travelers Companies announced in April that it would be adding new digital resources to improve healthcare and claims access for employee customers who have experienced a workplace injury, including the web-based, mobile-friendly MyTravelers for Injured Employees tool. On the other hand, Chinese insurtech startup CareVoice recently launched what it claims is the first AI voice-based virtual health assistant for insurers and employers in Greater China. The integrated tech will let platform users check their symptoms, access self-care content, and help guide users towards relevant medical specialties in an effort to reduce unnecessary consultations. Other digital health companies have been transitioning from consumer-focused strategies to the payer market. Beam Dental, which initially started in the smart toothbrush space, raised $22.5 million from investors on the promise of a dental insurance business strategy backboned by its devices. Meanwhile, an official from in-home senior care company Hometeam described to MobiHealthNews how staffing changes at his company were paving the way for a move into payer-focused reimbursement models. Rounding out the quarter’s payer deals were partnership announcements from Welltok and Sharecare. The former consisted of an agreement with Florida Blue to bring the company’s digital health and wellbeing program to the insurer’s 5 million members, which was initiated at the beginning of the year to employer groups and Medicare Advantage plan members. The latter digital health company involved two separate arrangements: one that brings its personalized health platform to Blue Cross and Blue Shield of Minnesota’s commercial customer groups in 2019, and another with Walmart that will give the retail company’s employees and their families access to the wellness platform.